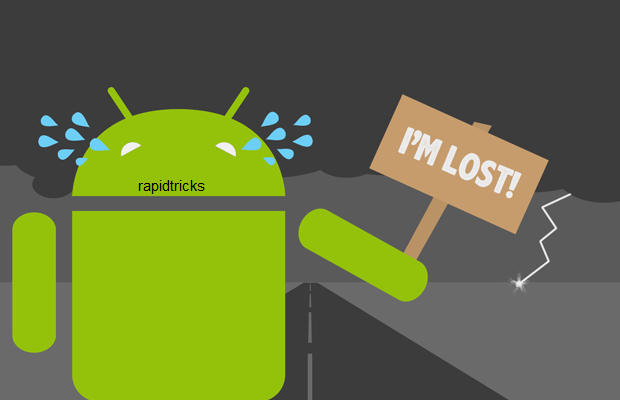 How to remotely lock lost android device, wipe data..
Lost Android Device? Don’t worry, you came at right place. Android undoubtedly became the biggest platform among smart phone users in current time, android users loves android because they know nothing is better than android. You are reading this article because probably you are an android user and you may have some important or personal data in it which you don’t want to get accessed by anyone except you. You are not alone here, everyone have their personal data in their lost android phones such as contacts,pictures,files etc. But most of us don’t think about that if we lost our phone somewhere then? All the data will be lost and may be unwillingly founded by someone suspicious, who may misuse your phone as well as Phone’s data. Now you Don’t need to worry atleast for your personal data because technology reaches to the next level, and android provides us the facility to protect our phones from unwanted use. You can not only remotely lock your lost android device but also you can do many things to your phone remotely. There are two ways to control your device remotely but we will prefer one which is easy and have lots of features. Open the application and register your phone. You will get a congratulation popup on the web. Now click on control Menu. And start controlling your phone remotely. Don’t you think it is so amazing to remotely control your lost android device? Tell us in comment box.